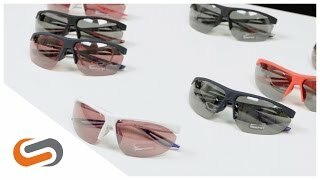 Nike Tailwind running sunglasses feature an ergonomic design that will give you the best in sun protection, comfort and visibility. Push yourself to the limit with shades that can perform as well as you do. Features include: lightweight nylon frame, interchangeable lens system, adjustable and ventilated lens and nose, cam-action spring hinges, prescription insert-ready.